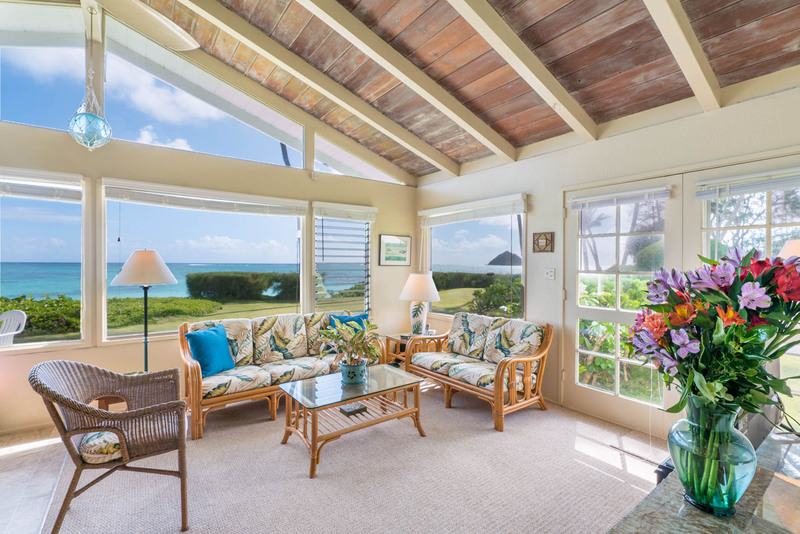 Magical Hawaiian ocean views await you from this Lanikai Beach front Cottage. One of the very few vacation rentals of this size, 2 bedroom cottage, left in the area. 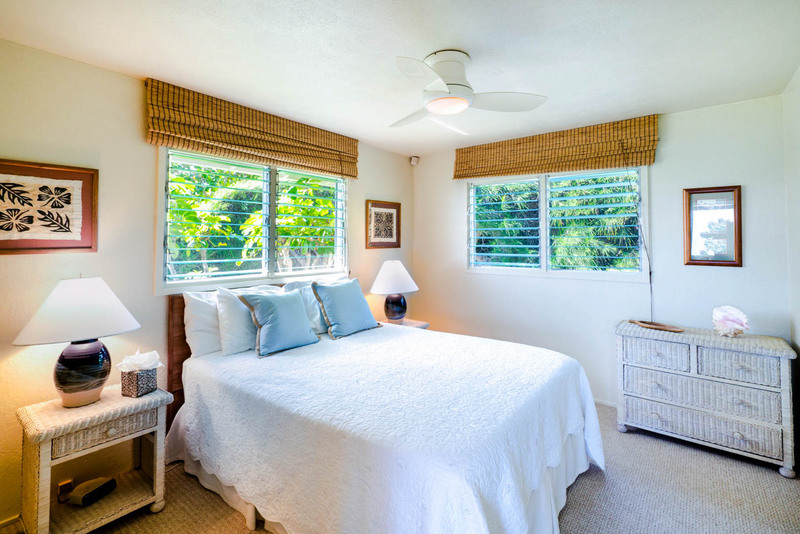 A very comfortable vacation rental cottage right in the center of beautiful Lanikai Beach on Oahu, Hawaii. 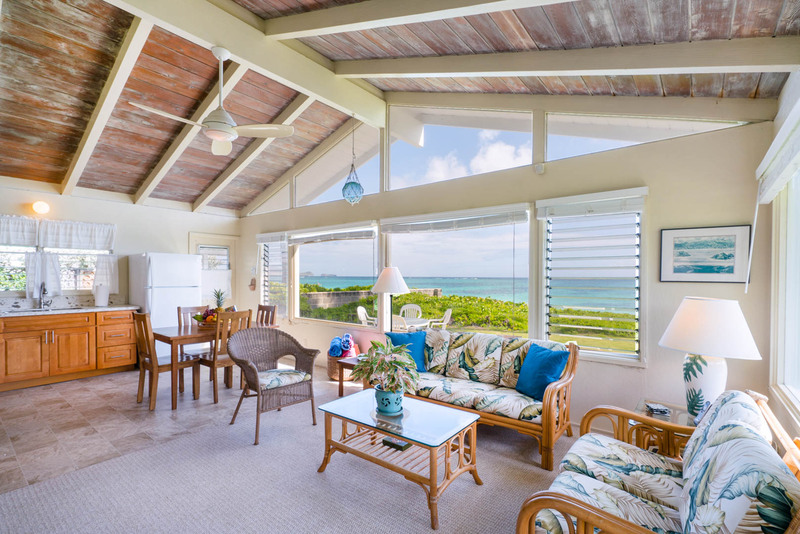 You can not ask for a better beachfront location in a rental! Brand new kitchen has been fully upgraded on this vacation rental in 2017. 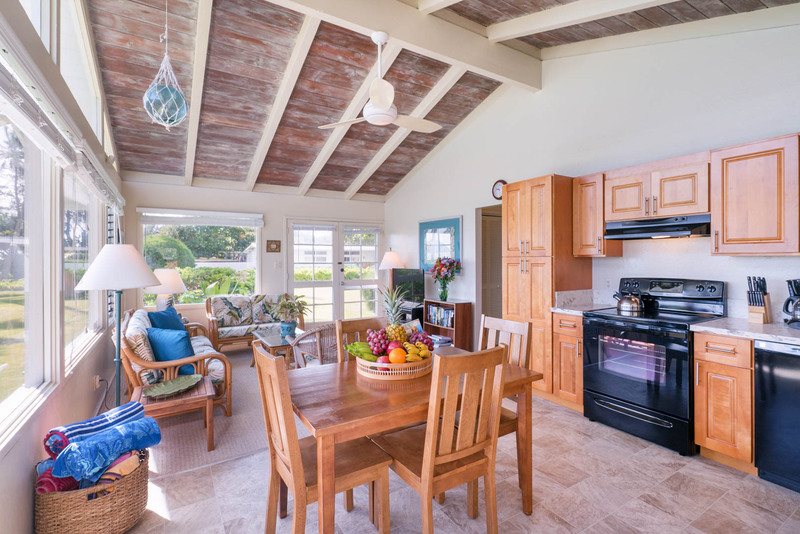 Perfect vacation rental for the ultimate Hawaiian family vacation or a reunion with friends, this home has everything you need to relax at the beach! Spectacular Hawaiian sun and moon rises. Soft powdery sand and crystal clear ocean of turquoise and blues. 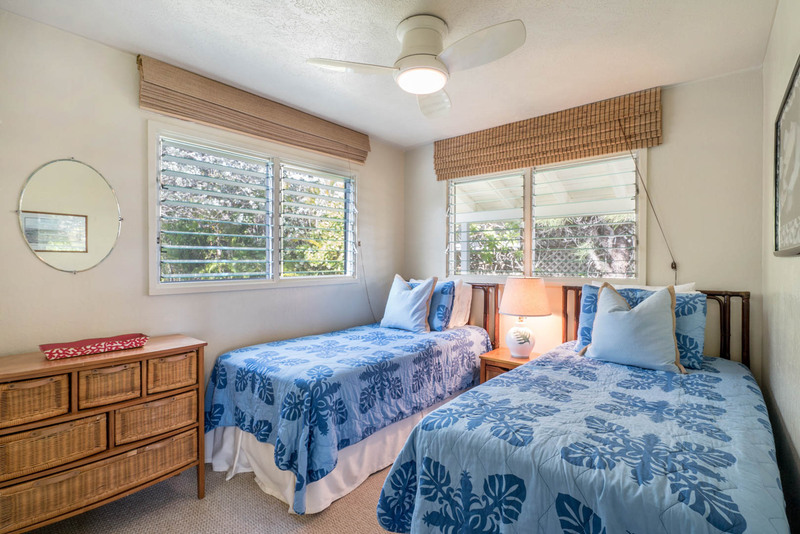 Idyllic outdoor spaces and interior comfort will make each moment of your relaxing Hawaiian vacation a long lasting memory. You always wonder a little if the pictures you see when booking a rental will accurately reflect what you'll see when you arrive. We were please to find that the awesome view and cute interior pictures were right on! Trinity Properties staff were wonderful to work with and very helpful. The cottage was wonderfully stocked with necessities as well as fun extras like sand toys for the kids, plenty of beach towels, a welcome basket and books & games (that we never had time to use because we were always at our beautiful beach). The kitchen was well stocked with cooking utensils. The washer and dryer were so convenient. They are beginning to show some wear - mostly because they reside outside which is common - but worked fine. Last, but definitely not least, the location is out-of-this-world awesome. We absolutely LOVED our view and our immediate access to the beach. 5 out of 5 stars Wonderful property, perfect for couples or small family, right on one of the most beautiful beaches in the world! Kitchen is a good size with everything you would need to self cater. Host left coffee, local fruit, chips and snacks for our stay, and the local shops in Kailua inclusing a wholefoods and safeway supermarket, are a 5-10 min drive away. 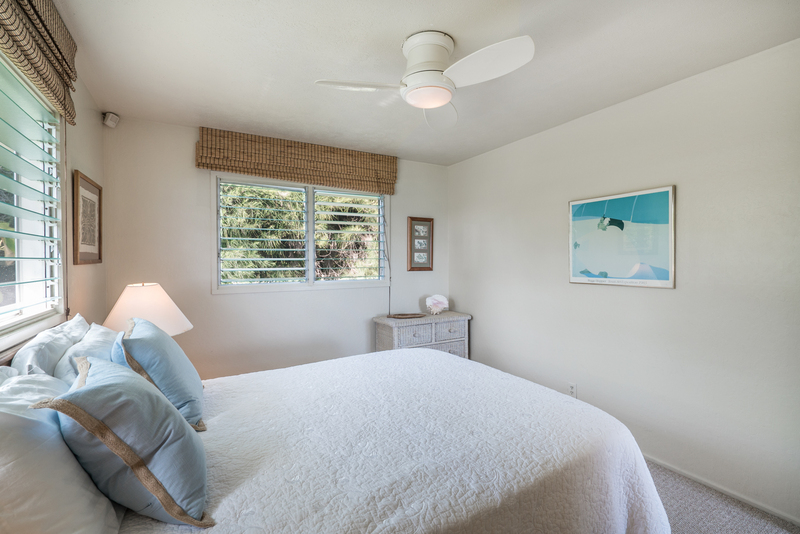 Beds are comfortable and clean and the rooms are quiet and have ceiling fans. Views from the living area, kitchen and the grass area at the front are second to none! 5 out of 5 stars We really love this place! Right on the Lanikai Beach! You do not need to go anywhere, just step out of your door and you are on a sandy beach of a warm ocean! Small and very cozy house, in a perfect shape! Thank you and looking forward to visiting the cottage soon! Review by Rowena and Alistair M.
5 out of 5 stars The cottage is in the most idyllic location. 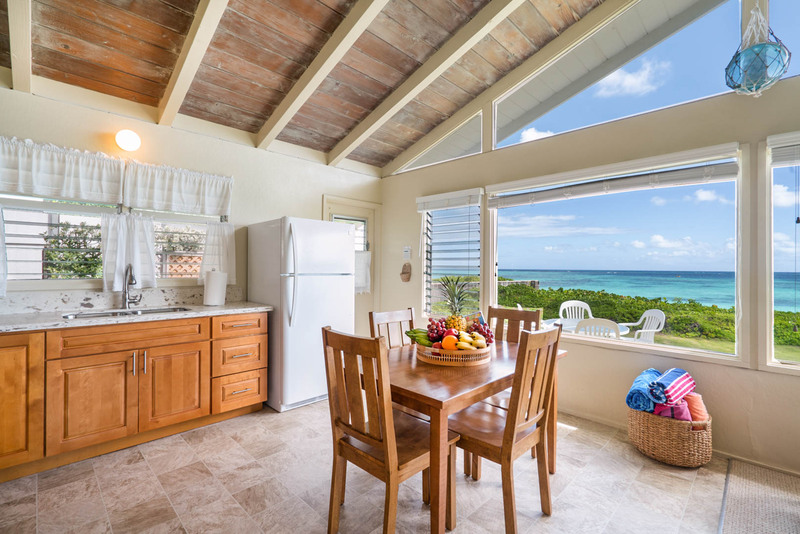 It is a simple 2 bedroom cottage with all the essentials needed for a relaxing holiday. Any concerns were quickly resolved such as a faulty bbq. The ability to walk from your own little private garden onto the beach was perfection. 5 out of 5 stars The location is absolutely perfect and the property is as advertised. All the basics inside and the outside cannot be beat. It does not have the most frills but I would stay here every time I go to Hawaii based on the overall experience and I would love to come back as soon as possible!!!!!!!!!!!!!! 5 out of 5 stars It is a small beach house, but with the huge yard adjacent to a idyllic beach, we don't spend much time indoors. 5 out of 5 stars The photos of The Cottage at Lanikai do not even come close to how amazing this place is. Since returning to Australia we have told so many people they should stay here. An amazing location, so beautiful and so relaxing. We cant wait to return. WONDERFUL first trip to Hawaii - thank you Cottage at Lanikai! 5 out of 5 stars You always wonder a little if the pictures you see when booking a rental will accurately reflect what you'll see when you arrive. We were please to find that the awesome view and cute interior pictures were right on! Trinity Properties staff were wonderful to work with and very helpful. The cottage was wonderfully stocked with necessities as well as fun extras like sand toys for the kids, plenty of beach towels, a welcome basket and books & games (that we never had time to use because we were always at our beautiful beach). The kitchen was well stocked with cooking utensils. The washer and dryer were so convenient. They are beginning to show some wear - mostly because they reside outside which is common - but worked fine. Last, but definitely not least, the location is out-of-this-world awesome. We absolutely LOVED our view and our immediate access to the beach. 5 out of 5 stars Truly enjoyed the experience at Lanikai. It's incredible how the pictures actually look like the reality. Quiet beach (except weekends), close to shopping in Kailua, and only an hour or so away from any spot on the island. The cottage is just the right size for family of 4. Couldn't recommend enough. 5 out of 5 stars I would wholeheartedly recommend this place to anyone looking for a beachside rental. Review by Court and Liz Y. 5 out of 5 stars This was our second time back staying at the cottage in Lanikai and had a dreamy and peaceful vacation. 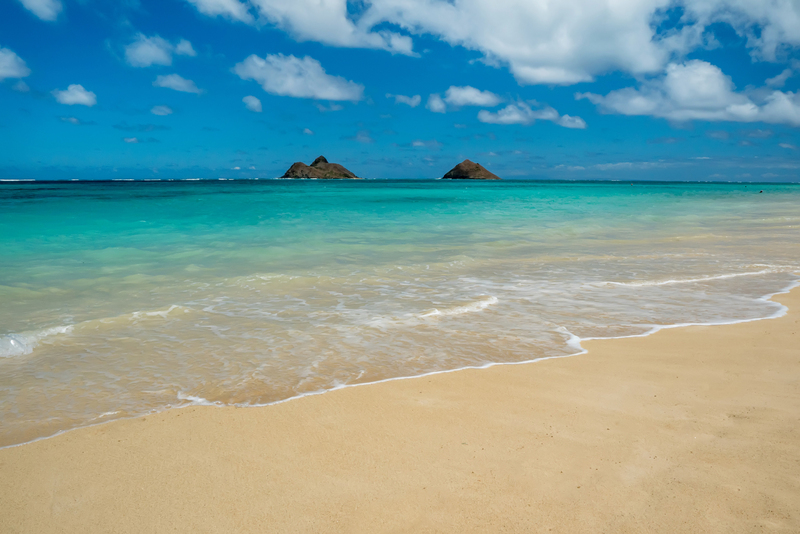 There isn't a better stretch of beach in the world that compares to Lanikai. The house is perfect for families! 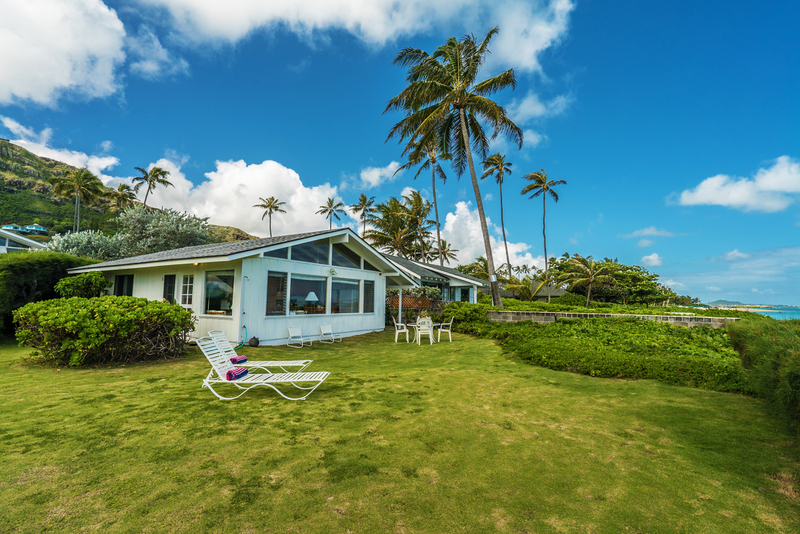 5 out of 5 stars This is a wonderful property in a perfect location right on Lanikai Beach. 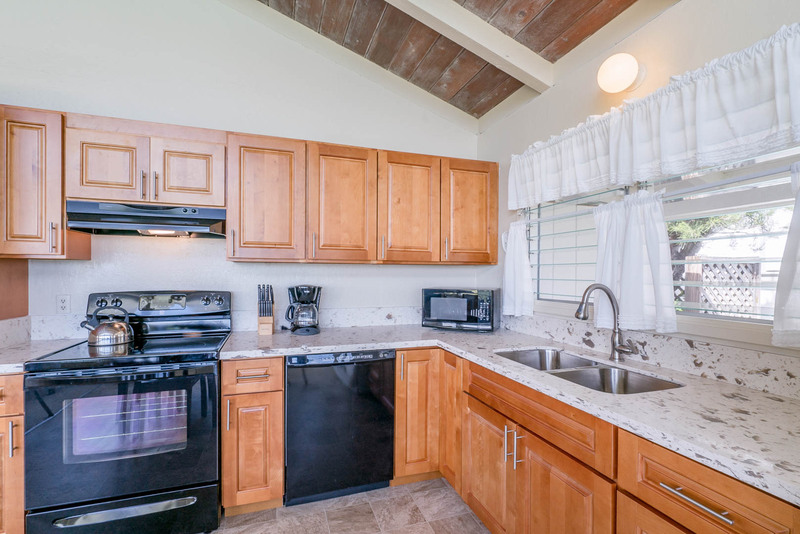 The cottage is well maintained, clean and has everything you need for a comfortable stay. 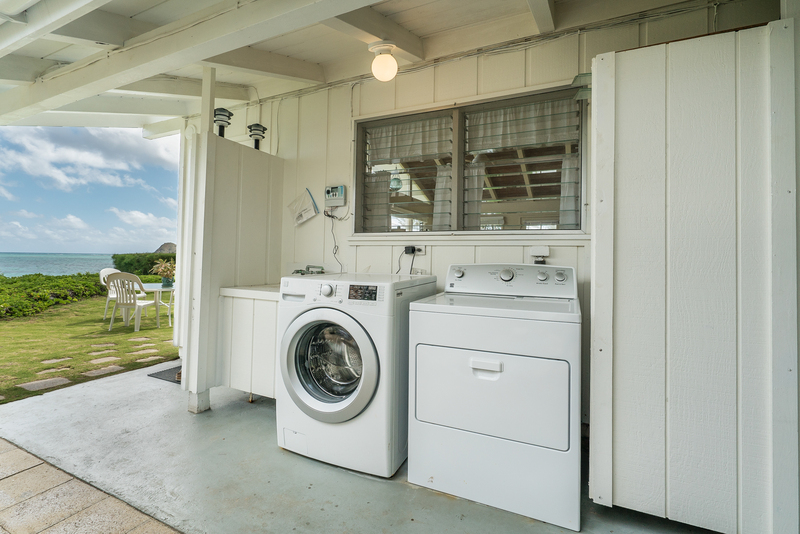 What's extra special about this cottage is that the owners have maintained it's Hawaiian charm. Trinity Properties has a great team of professionals to help you from reservation, check in and check out. The staff is super nice, professional, genuine and pleasant to work with. I would actually give them 6 stars! We are a family of 2 adults and 2 children (ages 5 and 7). The beach is perfect for children - lots of lovely soft sand for sand castles and gentle waves for kids. The view from inside the house of the Moki's is spectacular. I highly recommend this property and Trinity Properties. 5 out of 5 stars Great location and fabulous time there...we actually lived in this house 38+ years ago and were thrilled to be able to rent it for a special occasion now. There were some issues such as a broken blind, broken screen, broken washing machine (a new one was delivered the day before we left) and a toilet that needed repair. The management company was excellent, helpful and did their best to make us comfortable, however. The cottage was spotless when we checked in with a lovely gift basket awaiting us. Thank you! 5 out of 5 stars The only issue we had was the ants that we experienced the entire trip even after the exterminator sprayed the property.We had ants on furniture, on beds and the kitchen counters. 4 out of 5 stars House needs freshening up in the master bedroom area. But overall, we had a good time. 5 out of 5 stars The cottage is simple, yet simply perfect for peace and relaxation. The view from the living space is unreal. The easy access to the beach begs for snorkeling with the turtles, swimming in the temperate water, and a few beach walks each day. The house is well-equipped including gas BBQ and a delicious basket of fruit compliments of the owner. My only frustration was that the kitchen was stocked with nothing but salt and pepper and a few packets of sugar. But having to buy spices, oils, etc. is a small inconvenience for all the pleasure we experienced staying here. Lanikai is perfect for anyone with small children because the beach is so safe and calm or anyone just wanting to slow down and enjoy life. 5 out of 5 stars phenomenal location. the cottage is a bit small and bare bones, but in a perfect spot. 4 out of 5 stars We loved the location of the cottage at Lanikai! You are just steps to a beautiful beach. Even though the cottage is older, it is comfortable and clean. There is a great hike along the ridge you can see from the cottage (the Pill boxes) and the neighborhood is quiet and residential. Even though, we explored Oahu, we found ourselves just wanting to go back to the cottage and swim/snorkel/kayak at our own beach. A piece of paradise. 5 out of 5 stars Beautiful uncrowded beach! 5 out of 5 stars We were hoping that this property would be as good as it looked on the website, and were surprised at how much better it was. 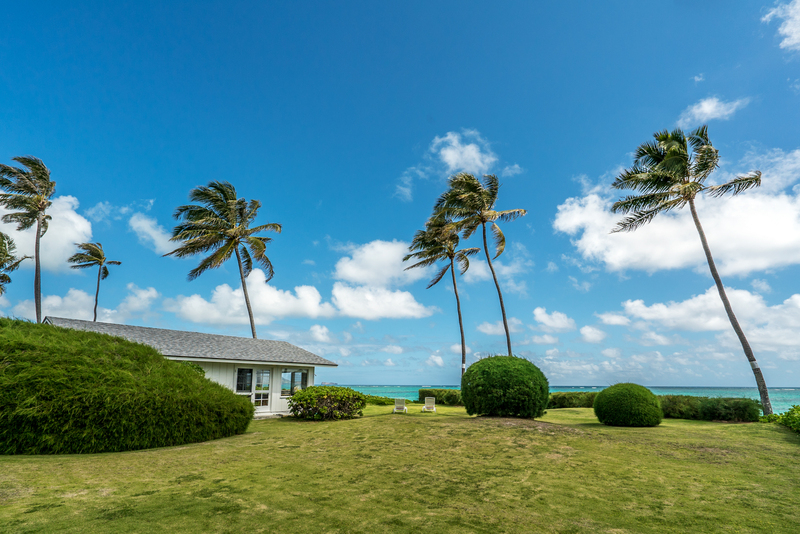 It's small, clean, simple, abundantly appointed and absolutely right on the beach, with a beautifully framed view of the Mokes. For a mom of a 1 and 2 year old, it was sheer heaven. An immaculately maintained property right where we wanted to be, with no schlepping of gear and babies. Best kitchen outfitting I've seen in a home rental. Our Trinity Properties representative Claudia made us feel very welcome and gave us a great intro to the area. The very generous welcome basket was a real treat. We weren't expecting all the beach gear available and so we'd brought our was so nice that we never even had to unpack ours (or inflate/deflate, clean it). Lanikai beach is paradise with clean soft sand, gentle waves, snorkeling right off shore, and that view! We look forward to returning again and again. Review by Preston "Lee" V.
5 out of 5 stars As Claudia has told you, Harriet tripped on the edge of the entry area and hurt herself pretty badly. That porch area should be corrected. Traveling the roads of Oahu it is quickly apparent that the highway signage is inadequate. (It rots!) The Waikiki area that we once knew has turned into another Coney island....too busy...too much traffic ...too many people and just too much. We did have a good time, however, despite the fall and despite the well intended comments herein. 5 out of 5 stars The Cottage - very adequate accomodations. The location:superb! The view: fantastic! Snorkling, swimming, loafing -- it gets no better. 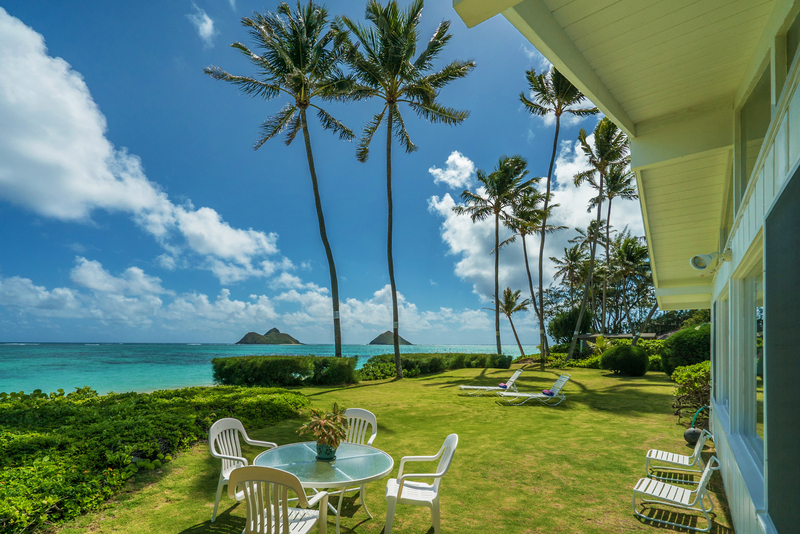 5 out of 5 stars The Cottage at Lanikai is on the most amazing property - the view is unbelievable. We've stayed there twice and hope its available in the future. The house itself has the basics - could use an update in the bathroom - but overall no complaints. Can't wait to go back. Trinity Properties is VERY helpful and welcoming.